In MailPoet, we offer more than 20 responsive templates and you can also create your own based on a predefined template and save it as a custom one. You can choose from a category or by looking at your recently sent newsletters. 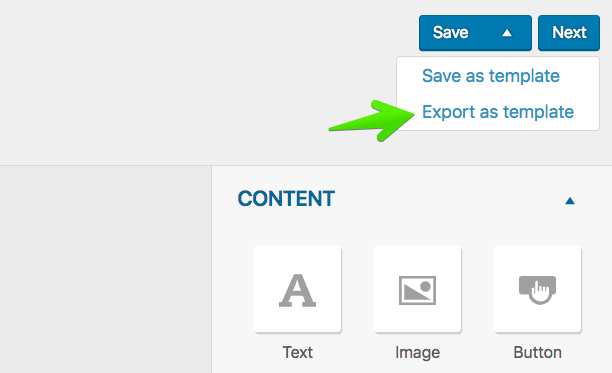 You can also save your own custom templates or import MailPoet templates from other WordPress websites. 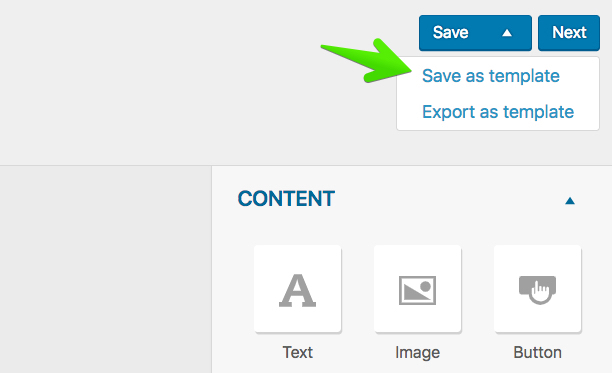 After saving a design as a template, it will appear in the "Your saved templates" category on the Templates page. You'll then download it as a .json file. Exported templates are simple text files with a .json extension. 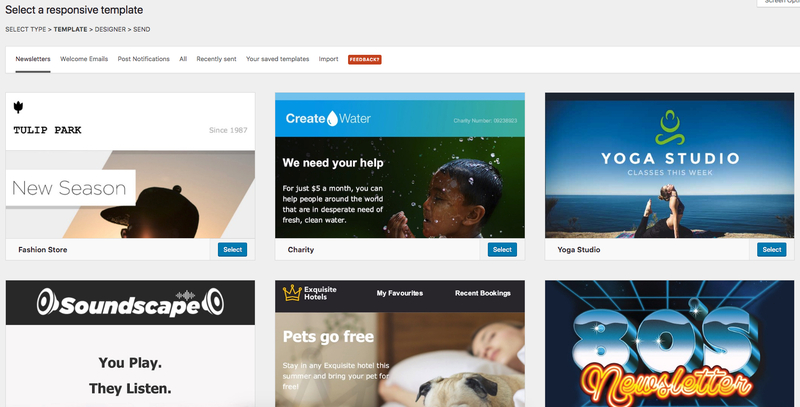 Templates are self-contained and include all the texts, styles and images in the design. However, note that all the images will be linked to their original source. We recommend saving all the images used for the template and upload it on the website you'll be using the template. Note: it's not possible to import templates created outside the MailPoet's editor. We also don't offer the option to edit any of the template's CSS.